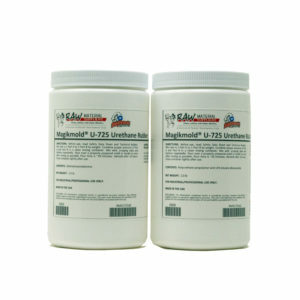 Magikmold® U-780 is a room-temperature curing (RTV), two-part, Shore A80 urethane rubber that can be used for many mold making and casting applications. U-780 is the hardest rubber in the Magikmold U-700 Series. Magikmold® U-780 is a room-temperature curing (RTV), two-part, liquid urethane rubber designed for the manufacture of flexible molds and parts. 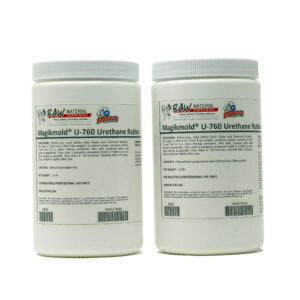 U-780 is the hardest rubber in the Magikmold U-700 Series. This rubber has a Shore A80 hardness, 45-minute pour time, and 16-hour demold time. 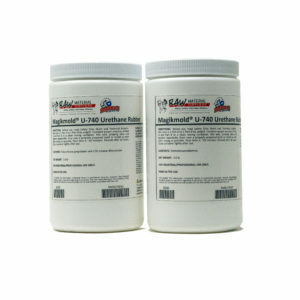 Magikmold U-780 is a pourable rubber, but can be thickened with Fumed Silica to make brush-on molds. 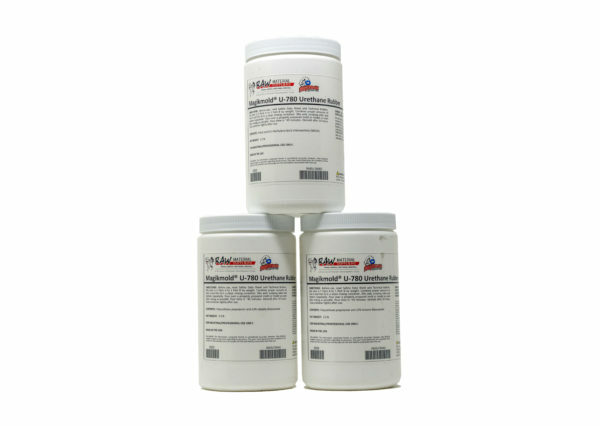 Plaster and some waxes can generally be cast into U-700 urethane molds without any release agent, but most concrete mixes and polyurethane resins require a suitable release agent, like Stoner E-236 Release Agent. Demold Time @ 77°F 16 hr. WARNING: This product can expose you to chemicals including 4,4′-Methylene bis(2-chloroaniline) (MOCA) and Toluene diisocyanate (TDI), which is known to the State of California to cause cancer. For more information, go to www.P65Warnings.ca.gov.